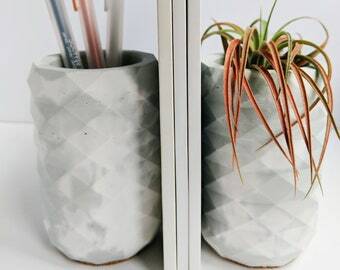 Concrete Modern Catchall. 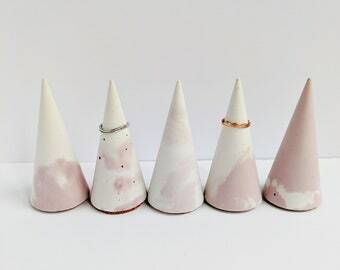 Minimalist Jewelry Dish with Lid. 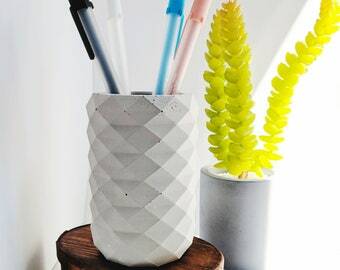 Lidded Concrete Desk Organizer. 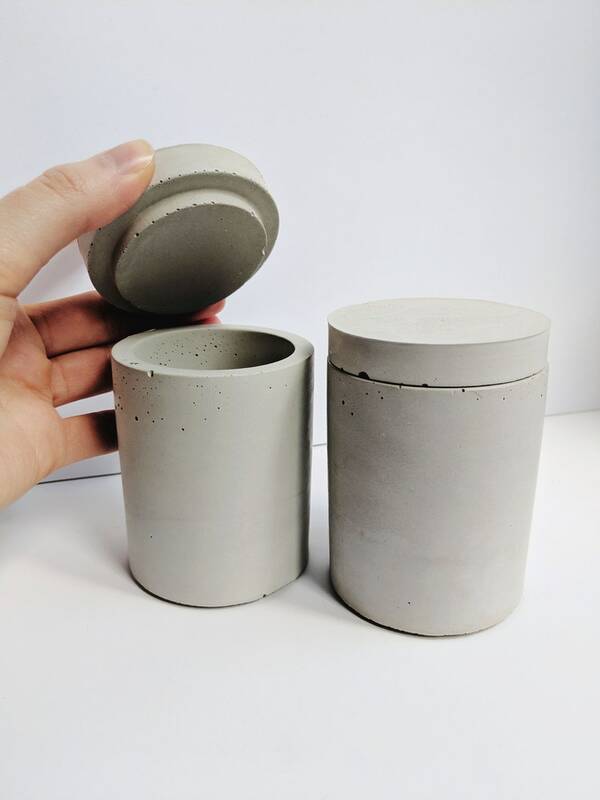 Concrete Jar Container. 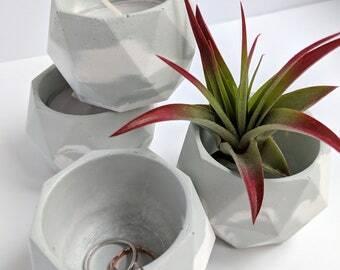 This is our small size concrete dish. 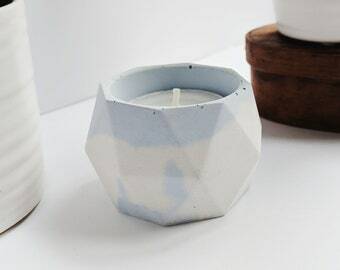 Some ideas for this wonderful little pot: jewelry dish, tealight candle holder, or to corral items on your desk. + The concrete dish + lid pictured in this listing is representative of the one you will receive. 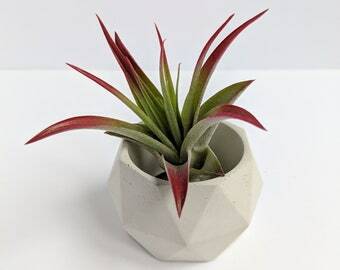 Each planter is handmade, and no two pieces will be the same. 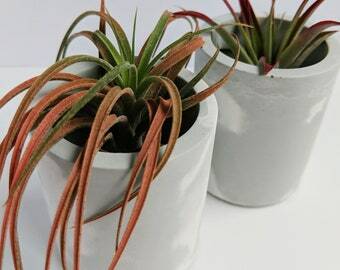 These slight variations make each piece unique. 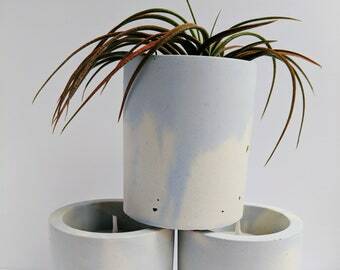 Blue Marbled Concrete Desk Organizer Set. 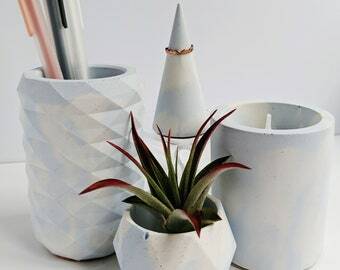 Concrete Dishes for Desk. 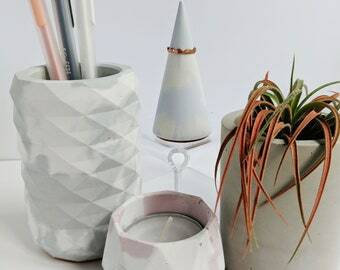 Set of Concrete Pencil Holder, Candle Holders,Plant Pots, Ring Cone. 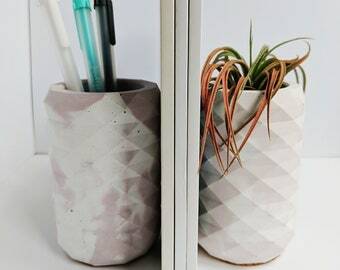 Custom Marbled Concrete Desk Organizer Set. 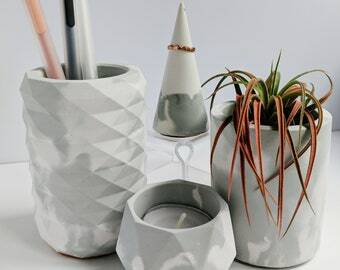 Concrete Dishes for Desk. 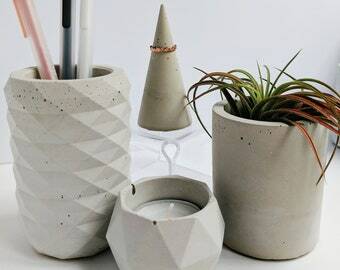 Set of Concrete Pencil Holder, Candle Holders,Plant Pots, Ring Cone. 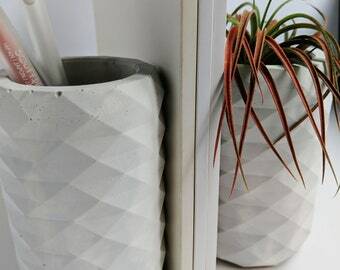 Concrete Desk Organizer Set. Minimal Desk Decor. 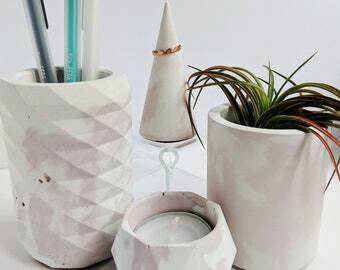 Concrete Dishes for Desk Organization. Modern Desk Organization.